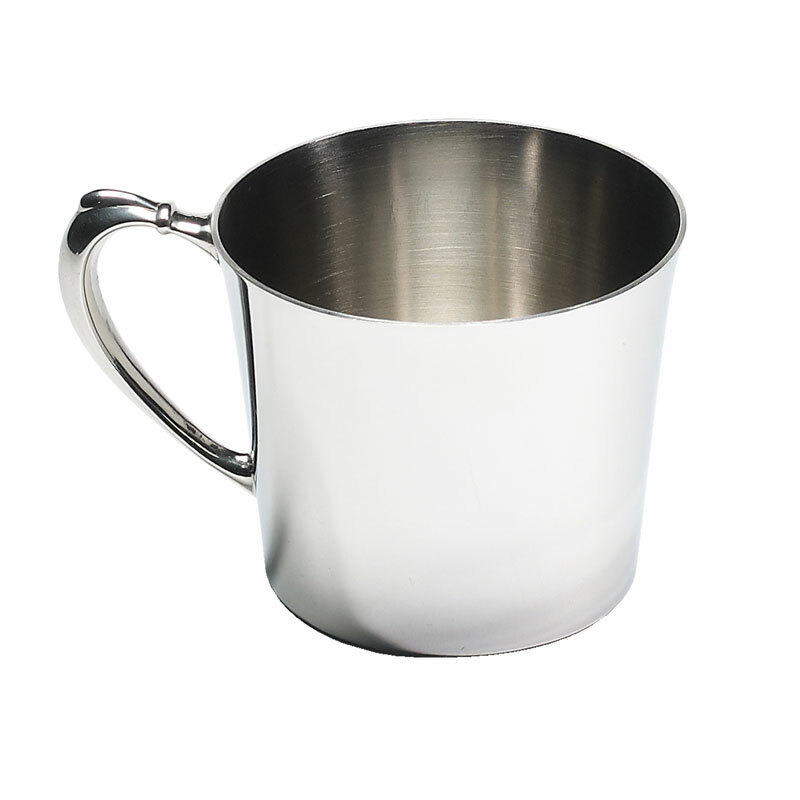 Fancy single handled solid pewter baby cup with raw edge. May be personalized on the front and back portion of cup. Hand wash only not dishwasher safe. Wash immediately after use.